Say laser surgery for varicose veins and what comes to your mind? Sterile, impersonal theatres with gowned surgeons, nurses and anaesthetists. Is that the reality? Well in some cases it is. But it doesn’t need to be. As lasers began to be experimented with around 2000 for getting even better results than what could be achieved with ultrasound guided sclerotherapy (UGS), slightly new approaches were developed. As in injection of solutions or foam that occurs with UGS, the goal is to create a strong scar reaction in the vein. While the vein is left intact. This is less traumatic than stripping or pulling out veins. Quite apart from the tissue trauma of that approach there are unwanted results. I cover this in some detail in the section about best treatments for varicose veins. As well as one specifically about stripping veins and other surgery approaches. By using laser energy a somewhat deeper injury than that in sclerotherapy is created in the wall of the damaged vein. The laser directed effects penetrate deeper than the solutions and foams are able. Scar tissue reaction is stronger. Consequently so is the healing response and stability of the created sealing effect. We are talking in laser surgery for varicose veins here about sections of vessels nearer the muscle surface than the skin. Although you can treat sections near the skin. It just needs some caution, care and use in very specific situations. As far as settings go it is worth considering the background for the European based injection treatment methods. Practically all ultrasound guided sclerotherapy was done in office or treatment room settings. Unless a surgeon might have added this to his surgical treatment session. But that would be unusual. Most would avulse or pull out surface sections (a technique known as phlebectomy) using their surgical skills. As the benefits of laser surgery for varicose veins, often known as endovenous laser therapy (EVLT or EVLA - the “A” standing for ablation), became more well known, surgeons began to embrace it. Coming from a surgical perspective where they were cutting through skin and other tissue operating theatres were their normal environment. It maximises sterile conditions. Especially important where areas below the skin’s protective barrier are exposed. As a consequence surgeons adding laser techniques to their usual practice would often continue using operating theatres. Their most comfortable procedural environments. Therefore laser surgery for varicose veins for them might well be based in an operating theatre. There are significant costs and limitations in booking with these locations. If it were possible to use the laser approach in a treatment room or office, costs could be significantly reduced. It would be less intimidating for those being treated. Plus more flexible. Essentially it is very similar to a venipuncture, or taking blood samples. Or even like a lumbar puncture as part of a diagnostic work up. These do not require an operating theatre. With careful management to ensure sterile fields for vein entry and the instrumentation, there should be no untoward effects. For those of us growing up using sclerotherapy day in, day out, migrating to endovenous laser in an office setting does not seem a stretch. It has a number of benefits. Most people feel much more relaxed in a treatment room or office setting. It is a much more familiar environment to them. Office and treatment rooms are much easier to schedule treatments in. This should allow greater flexibility in offering suitable treatment times. 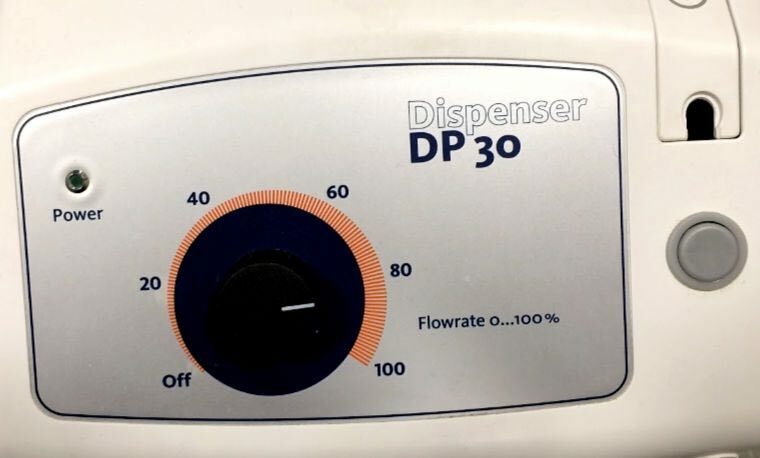 Equipment management is more straightforward within a treatment room setting. Practising due care there should be no untoward events using these locations. In my years of experience that is indeed true. 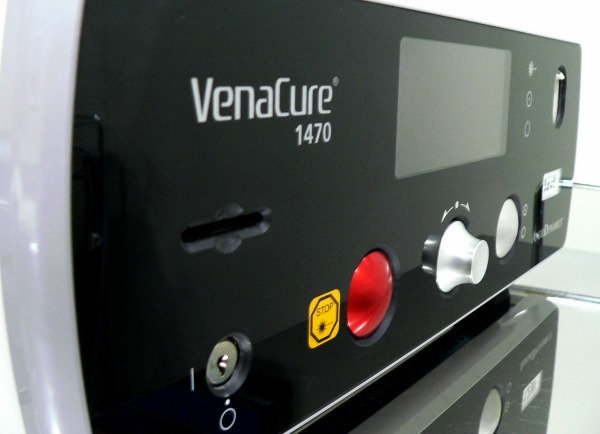 Utilising such an environment it may not feel that laser surgery for varicose veins is a relevant term. Yet it describes the procedure’s mechanism and aim very well. It just produces a different mental image. Over time, as I mentioned above, results bear out the huge benefits of the internal laser vein approach. Much more effective. With much less life interference. You should be able to walk in and walk out. The treatment itself should be very comfortable. It usually is. in fact practically all the people I have treated felt the laser session was even more comfortable than the tidy up injection sclerotherapy one. Yet injection sclerotherapy is the best option after the laser work to clear up the very tortuous surface veins. Getting a laser fibre around the twisted channels of visible varicosities is not possible. There are too many corners and overlapping tissue areas. The actual laser surgery for varicose veins is conducted with very similar technology to that used for angioplasties and stents. A needle is inserted into the target vein. A fine wire is threaded through that. A fine catheter is threaded over the guide wire. The guide wire and the usual internal stiffening part of the catheter is removed. Then the laser fibre can be inserted through the catheter into the vein. Observing the introduced fibre with ultrasound imaging it can be advanced up the vein very close to the top extent of the damaged or malfunctioning section. Once in position special local anaesthetic can be instilled as a sort of cuff around the vein. It serves a number of purposes. It numbs the area so that you should not feel the heat the laser produces. At times you might be aware of some warmer blood flowing into other surface veins from their connections with the treated one. But there should be no significant discomfort. It separates out the vein structure from the surrounding tissue. This can be very important in areas where the treated vessels are directly adjacent to surface sensation nerves. It compresses the vein to reduce the blood present and to bring the vein walls into closer touch with the laser heating effects. As a water-based solution it also acts as an effective heat sink to reduce nearby effects on other tissues. As water has such a high coefficient of heating it is highly effective for this purpose. With the anaesthetic mixes most of us would use, incorporating a little adrenaline, it reduces too rapid leaching of active anaesthetic into areas wider afield that are sensitive to its effects - the brain and heart. It makes it last for hours through the laser surgery for varicose veins procedure giving highly effective numbing as well as post treatment analgesia. Most people say they might take some minor pain relief when it wears off. Assuming they are not already asleep when it does. But they tend to not need any more thereafter. They will have some minor discomfort for some days. But this is eased with motion and tends not to interfere with daily work. Over the years I have found the vessels we treat with endovascular laser approaches shrink down and disappear from ultrasound view much more rapidly than those treated with sclerotherapy. When it was first introduced as a technique it was touted as having 100% long term closure. I always doubted that. Biological systems being so variable tend to not produce absolute outcomes. Over years this has been borne out. Yes most do not break through again. But a few, less than 5%, do at times. But they readily respond to a touch up session. This can be by laser or injection depending on the residual vessel size and state. Paradoxically in laser surgery for varicose veins the affected vessels connected to the laser treated ones might show some re-canalisation after some time - rather different to the sclerotherapy approach. By modifying the sclerotherapy treatment method a little, this has not been so much of a problem in more recent years. Every new approach needs some tweaking in its application to become even more effective. As with the sclerotherapy treatment approach, a compression stocking needs to be worn for some time after the laser surgery for varicose veins session. For my patients I usually recommend two weeks. But they must walk (or do some similar exercise) every day to promote the healing response. In practically every case they can do all their normal regular work and household activities. I would recommend avoiding heavy lifting involving holding your breath and straining for a week after treatment. Also it is usually better for the first week to avoid high impact activities with your legs. Such as high-impact aerobics and squash. After two weeks is when I would usually do the surface vessels by sclerotherapy. Once more you will need to wear the compression stocking for another two weeks. After the initial laser session the surface vessels will usually look a lot less prominent or obvious. But they have been damaged. Left untreated they usually over time will affect other healthy connections, producing more problems. Eliminating them gets rid of this risk. I recommend following you up, usually around once every four months or so. Once the deeper, laser treated veins are no longer visible we know they will not re-open. You do not need further follow ups. Due to its high effectiveness laser surgery for varicose veins, or endovenous laser therapy, has become your best option for clearing your varicose veins. For the best outcomes and least chance of re-canalising.